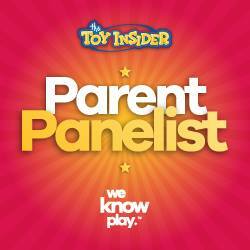 Are you or someone you know fascinated with dinosaurs? 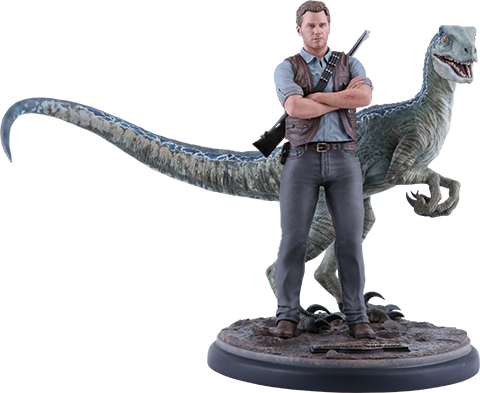 If so you'll want to take a look at the collection of Jurassic Park and Jurassic World items available from Sideshow Collectibles. They have some fantastic dinosaur busts, statues and replica movie props that make incredible for incredible bedroom, game room, office, and home theater decorations. Wow! Who wouldn't want to hold a baby dinosaur?! 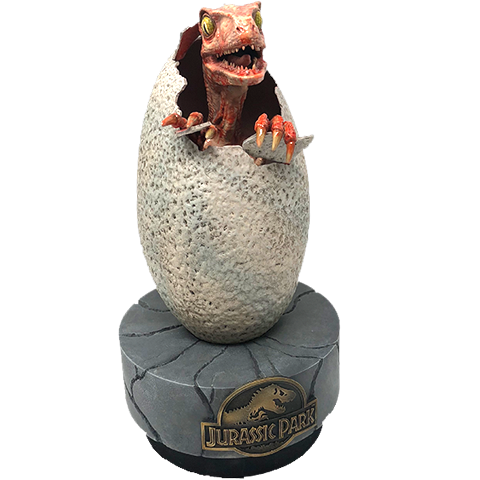 This replica movie prop from the original Jurassic Park movie recreates the remarkable on-screen moment when a baby dinosaur hatched from an egg into the hands of park creator John Hammond. This life size scale dinosaur egg and baby raptor collectible piece are a perfect size to fit on a desk and is sure to give someone bragging rights for having one of the coolest office or home decorations ever. These are going to be a limited edition production so make sure to order one while they are available! We all know velociraptors are deadly predators, but who knew they could be so cute! This eye catching diorama of baby raptors playing is amazing! 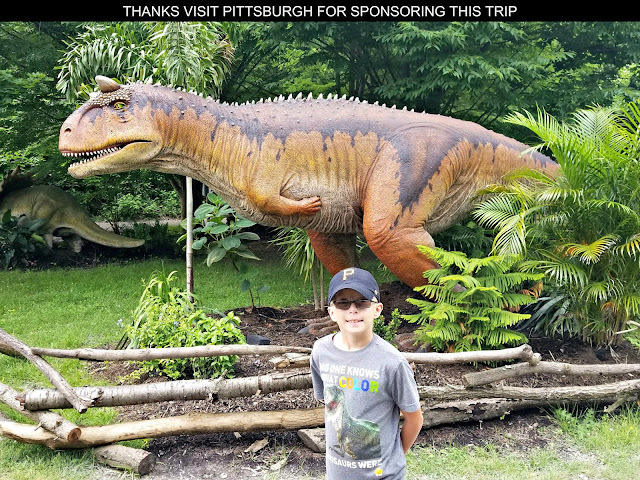 These dinosaur statues are displayed in a life size scale format. Very impressive! Movie visual effects artist Mark “Crash” McCreery played an influential role in designing the dinosaurs of Jurassic Park. He rendered hundreds of concept art drawings for the Jurassic Park production team. 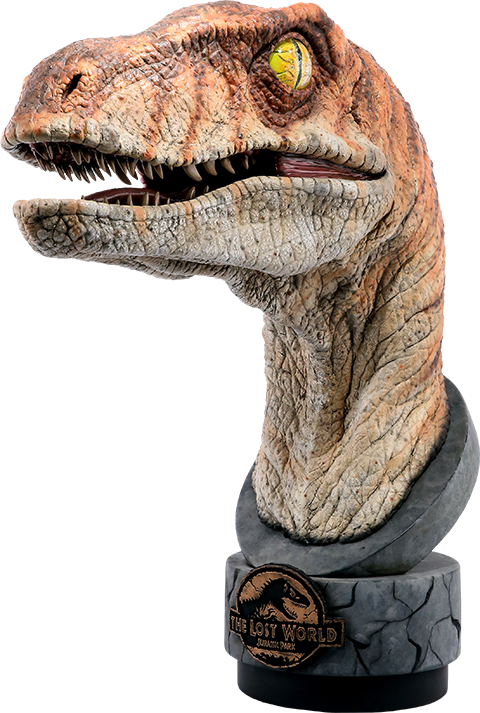 Once filming began, McCreery brought a number of the movie's dinosaurs to life through puppetry. He even wore a full-size Raptor suit for scenes in Jurassic Park. This diorama is based on concept art by McCreery that was never used in the film. The drawing of the baby raptors playing together shortly after hatching from their incubated eggs wasn't included in the movie because it was thought their cuteness factor would take away from scariness of the raptors later on in the film. What do you think? I do know these baby raptors really are adorable! For those who like the scary version of raptors, there is also a life size bust of one's head available from Sideshow Collectibles. This incredibly detailed bust stands roughly 30” tall and spans 28” from the back of his head to the front of his jaws. The life-size dimensions of this spectacular bust make it the ideal centerpiece for any dinosaur collection. This attention getting piece is sure to get attention. Don't be surprise if people want to get their pictures taken with it. For me Baby Blue was the star of Jurassic World 2: Fallen Kingdom and the scenes featuring this baby raptor were my favorite part of the movie. Now you can bring a life size Baby Blue home with this impressive raptor statue. 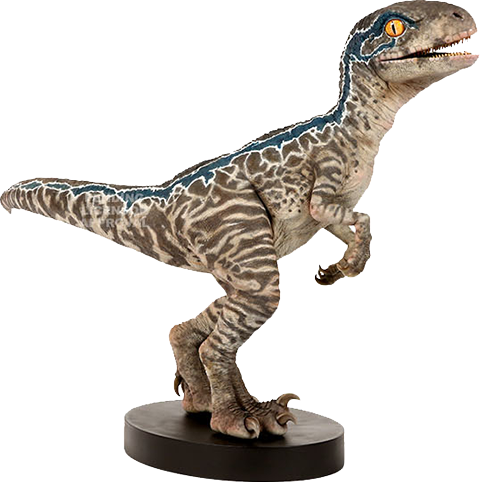 Having saved the day in both Jurassic World movies, this statue of Blue the velociraptor is a great collectible for fans of the movie to have. 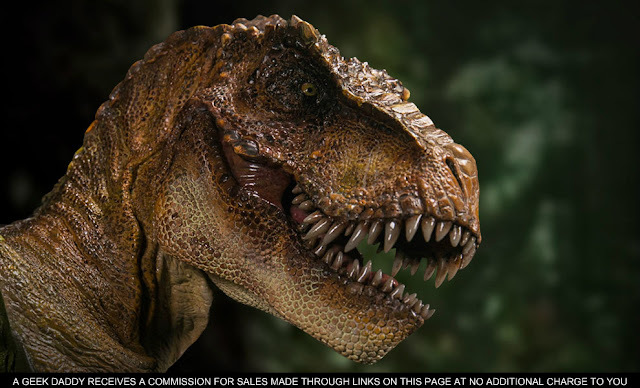 Baby Blue was made using the same digital files from Industrial Light & Magic used in producing Jurassic World 2 in the film, so this is one of the most screen-accurate reproductions of Baby Blue you will be able to get your hands on. A nice representation of the velociraptor Blue and her trainer Owen Grady. This ninth scale statue was crafted in consultation with Universal Pictures and Industrial Light & Magic. Jurassic World fans are sure to appreciate this! The raptors get a lot of attention in the Jurassic Park and Jurassic World movies but Tyrannosaurus Rex remains king of the dinosaurs. These hand-numbered limited edition faux bronze Tyrannosaurus Rex statues are a perfect addition to any dinosaur themed collection. 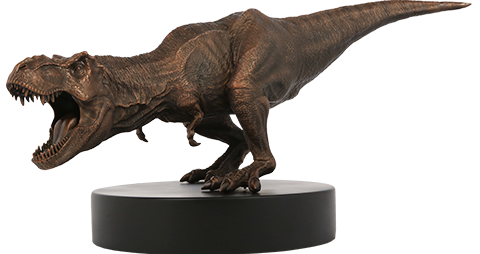 Modeled after Stan Winston concept art used for Jurassic Park, this polyresin statue feature a roaring T- Rex standing on a smooth black base.